Product #6106 | SKU K121 | 4.0 (based on 1 rating) Thanks for your rating! 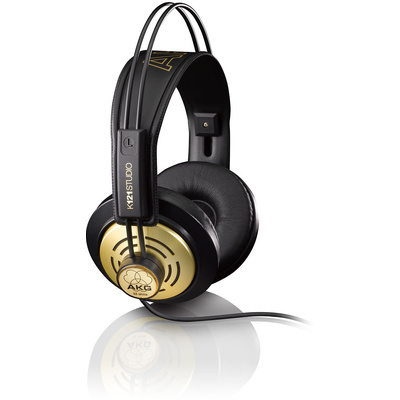 The AKG K 121 Studio are entry level professional headphones for various applications, as Project Studios and Home Recording. These semi-open, supraaural headphones are a true allround performer. The AKG self-adjusting headband ensures good comfort. The K 121 Studio are equipped with a 3.5/6.3 mm stereo adapter and is designed for ambitious and rugged use. The leatherette ear pads are easy to clean. The K 121 Studio are designed and engineered in Austria. Not to large or too small, great sound quality, and to top it all off - they look awesome.